Royal Lavender is a small- medium compact growing English angustifolia that is graced with dark velvet colored purple Lavender flowers hence the name. Grows about 18 inches tall in bloom by about 20 inches wide and is a good container plant. The 10-12 inch long stems of Royal Velvet flowers are great for use in Lavender bunches or bundles or crafts. This Lavender is very aromatic and good for culinary use in recipes. 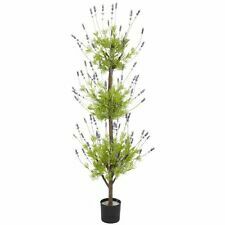 Royal Velvet Lavender grows into compact mounds with pale gray green foliage. Blooms appear in early summer and if harvested the plant frequently has a second flush of flowers in early fall. The flowers retain their dark purple color and fragrance exceptionally well. Reliably hardy in zones 5 - 9.